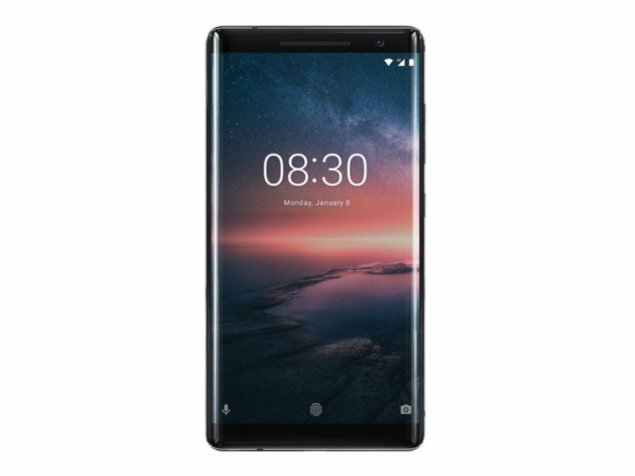 Nokia 8 Sirocco ab available hoga Indian market main. Yeh smartphone HMD Global ne develop kiya hai. Is phone ki prebooking start hai. Is phone ko nearest retailer store se bhi pre-book krvaya ja skta hai. May 2018 ke first week me ye phone milna start ho jayga. Nokia 8 Sirocco ko Online aur Ofline kisi bhi store se purchase kar paoge. 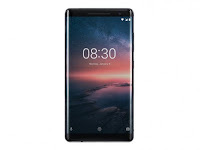 Nokia 8 Sirocco ka Indian market me price Rs. 49,999 rakha gya hai. Isi ke sath milta hai 20GB ka additional data mill rha hai AirTel customers ke liye. Is offer ko avail krne ke liye first six month apko recharge krvana hoga Rs.199 and Rs. 349 per month (T&C apply). Yeh offer prepaid customers ke liye hai. Postpaid customers ke liye 20GB data per month mill rha hai. Is offer ke liye customers ko Rs. 399 and Rs.499 ka plan lena hoga. Is offer ke ilava ek aur offer mill rhi hai jo Flipkart ke through hogi customers ko old handset Flipkart pe sale krna hoga jispe up-to Rs. 19000 ka exchange offer hai. Nokia 8 Sirocco aa rha Android ke latest ver. Android 8.1 Oreo ke sath. Phone main 5.5-inch QHD (1440x2560 pixels) pOLED display mill rahi hai jiski aspect ratio 16:9 hai. Is phone main 3D Corning Gorilla Glass 5 protection bhi mill rahi hai. Hardware ki baat ki jay to phone main octa-core Qualcomm Snapdragon 835 SoC processor mill rha hai aur sath 6GB ki LPDDR4X RAM mill rahi hai. Nokia 8 Sirocco Single Sim support krta hai. phone me memory card insert nahi kr skte aur na hi second sim use kr skte ho. Is smartphone main dual rear camera setup diya gya hai. Jismain 12MP ka first primary camera hai is camera ka aperture f/1.75 hai isme wide-angle lens use kiya gya hai aur 13MP ka second primary camera hai is ka aperture f/2.6 hai isme telephoto lens use kiya gya hai. Phone ke front camera me selfie ke liye 5-megapixel sensor diya gya hai fixed-focus lens ke sath iska aperture f/2.0 hai. Phone ki internal memory ki baat ki jay to 128GB ki internal storage hai. Connectivity ki baat ki jay to ye smartphone 4G VoLTE, Wi-Fi 802.11ac, Bluetooth v5.0, GPS/ A-GPS, NFC support krta hai. Phone main 3260mAh battery mill rahi hai aur phone ko charge krne ke liye USB Type-C port diya gya hai. bestsmartphones4u.com provide best information about Smartphones. In this blog gives you information regarding best offers which are running in the market on Smartphones You can get all details about smartphones. In bestsmartphones4u.com gives you more knowledge about advanced features of all smartphones. Samsung Galaxy j4 plus. One time Screen replacement. Samsung galaxy J8 Full specifications | price in India.